Manufacturing pharmaceuticals has traditionally been a capital-intensive endeavor, given its requirement of highly specialized, highly regulated manufacturing and processing equipment. Pharma’s leaders continue to pursue success through a strategy of careful capital expenditure (CapEx) investment with an eye on increased capacity, speed and efficiency, in an effort to shake the most out of their manufacturing assets. The Pharmaceutical Manufacturing editorial team recently queried its readers for the third time in an effort to understand more clearly how CapEx is being managed where they work, and the spending priorities that support their operational strategies. The pharmaceutical industry has reported capex spending to be on the rise since 2013. There has been a significant increase in equipment budgets from 2013 to 2015 — in fact, a whopping 69 percent, according to the Nice Insight’s 2016 Pharmaceutical Equipment Annual Survey of 489 global pharmaceutical and biotech industry professionals involved in purchasing new systems and technology. Pharmaceutical Manufacturing’s surveyed readers indicated that the trend has continued in 2016. Almost 63 percent of surveyed readers report that from FY 2015 to FY 2016, capital spending on production assets/technologies and process systems at their companies is increasing. Only 17 percent reported a decrease in spending. In their quest to achieve these day-to-day goals, more than 86 percent feel process innovation and improvement is important or very important to their organization. When asked how they would characterize their company’s production assets and manufacturing systems, readers generally had good news to report. More than 40 percent reported assets and systems to be up-to-date, meeting global productivity and quality standards; and 47.5 percent say they are dated, but yet well-maintained and cost effective to operate. So when it’s time to invest, on what sort of shop floor systems are companies spending the most capital dollars? Higher speed, higher-capacity processing systems and equipment to meet increasing product demand or new product production is in the lead (35.6 percent), followed by adding process analytical technologies to existing lines to understand critical processes better (23.7 percent). Industry trends reveal that to better manage the costs and expenses associated with drug manufacturing, operations managers are looking for innovative ways to shift from traditional capital expenditure models and turning to operational expense models in pursuit of operational improvements and new or extra capacity. In fact, about 2/3 of surveyed readers agree that this is a strategy worth pursuing, while 22 percent report this trend to be increasing at their plants, as they seek partners and suppliers that support this operational/financial necessity. Those who agree this strategy is worth pursuing are applying their manufacturing-related OpEx dollars mostly toward IT systems/infrastructure (48.6 percent) and late-stage development production (40 percent). 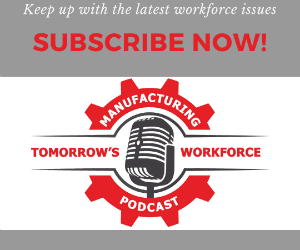 Representing manufacturing’s most important roles, the survey attracted individuals from all operational levels —from executive leadership to plant floor operatives. Of all respondents, nearly 83 percent have responsibilities that include supporting internal processes associated with the specification/purchase of process and production technologies. The survey found that 66 percent of respondents have spending authority in their current roles. More than 42 percent are authorized to spend more than $100,000.